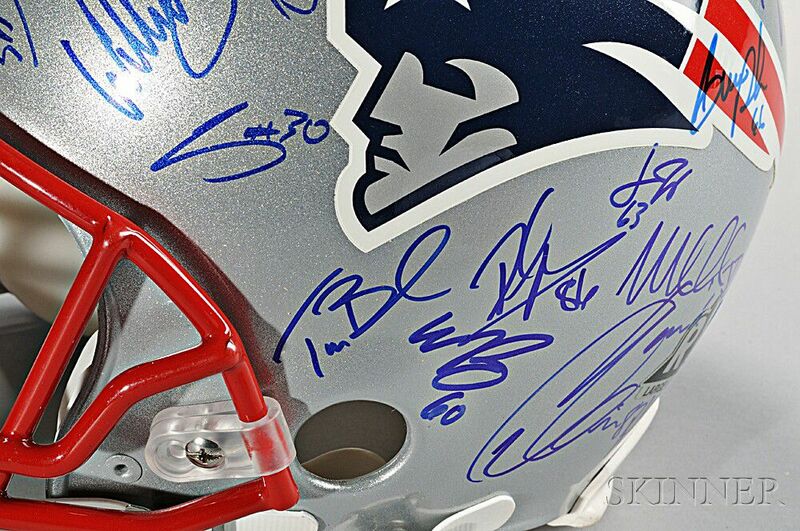 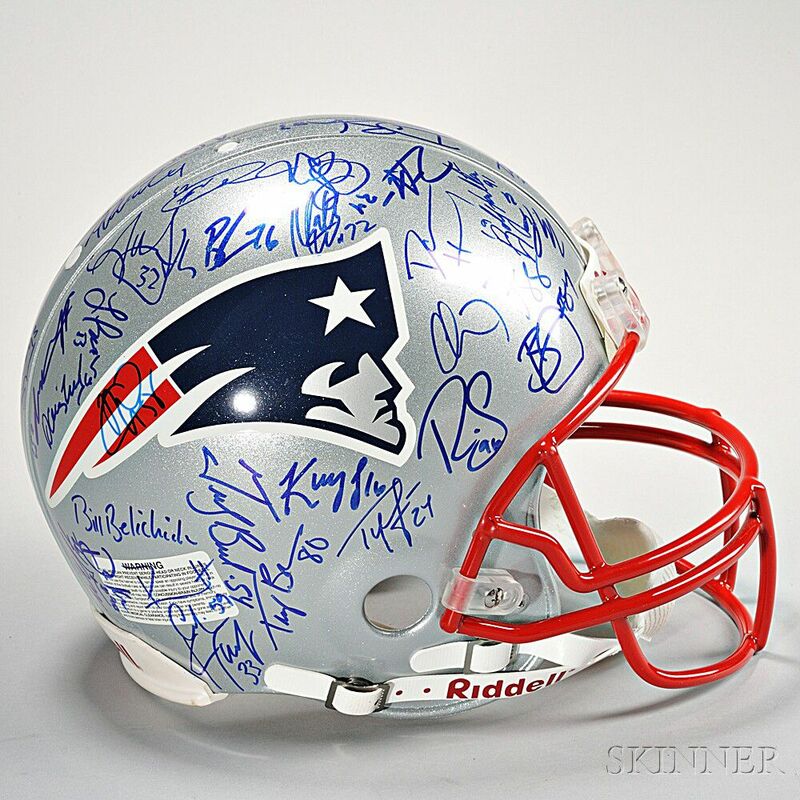 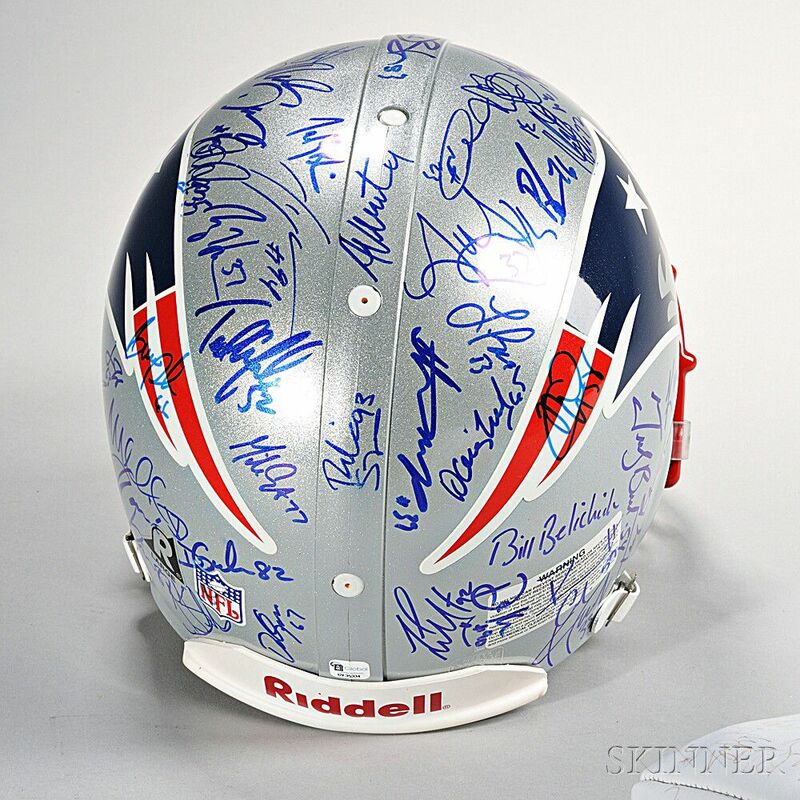 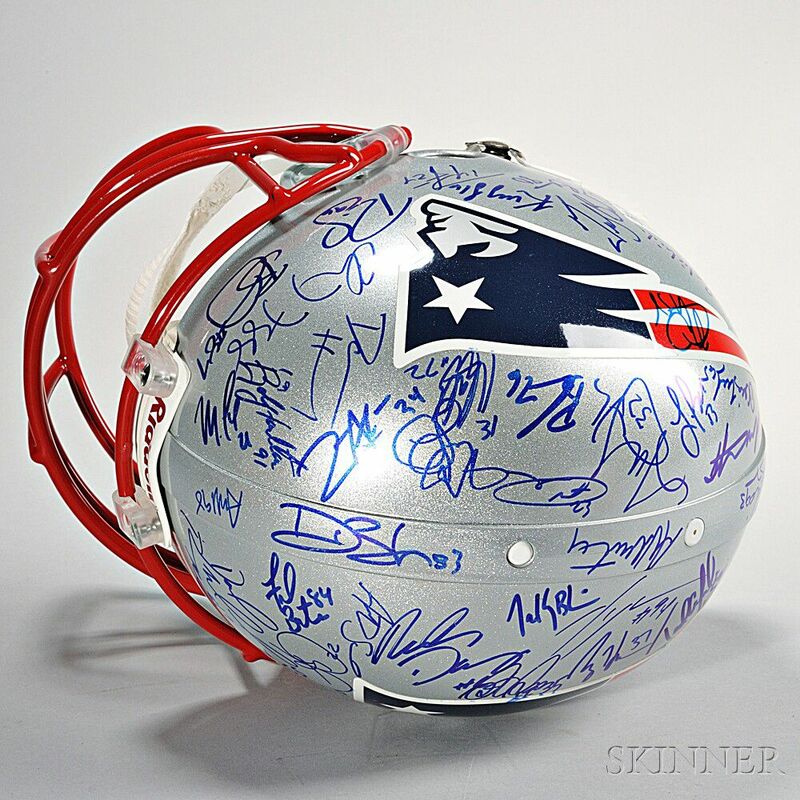 New England Patriots Signed Helmet, a Riddel helmet signed by members of 2003/2004 New England Patriots, accompanied by Global Authentication Inc. 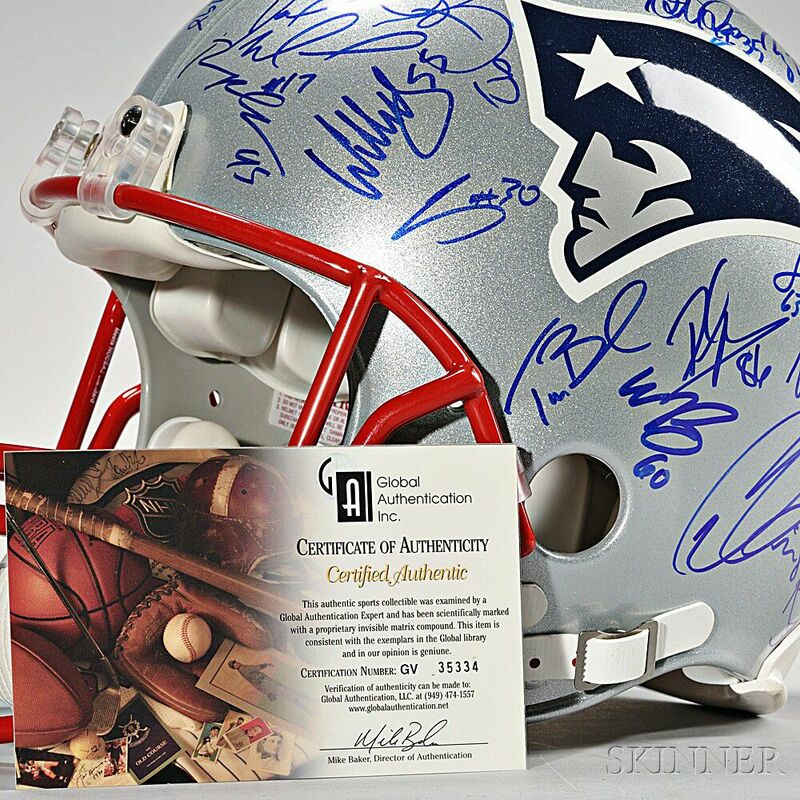 Certificate of Authenticity, certification number GV 35334, approx. 10 1/2 x 11 x 9 in.